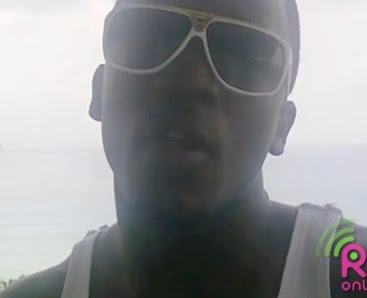 click HERE to see Iyaz exclusive Vlog for Radar Online. It's pretty short but you see him showing off his community. I guess it was shot in BVI since that is where he was raised (he was born in USVI) The post says he is shooting from his home in the Caribbean...yo we have like thousands of islands man.... that's like saying we're shooting from his home in California...I mean wouldn't you prefer if they specified L.A or Beverly Hills or San Diego?????...anyways..... he have the US accent down but the likkle island twang fighting to come out boy....let it out Iyaz! let it out!!! LOL.